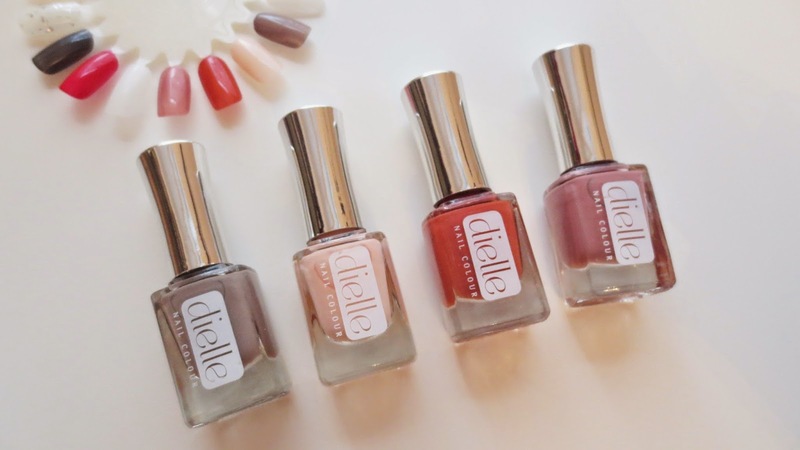 Dielle - Power Brunch Nail set! Composed, Sweet Virtue, Aged Coral, Secret mercy. For ladies who lunch Monday to Friday and brunch and the weekends. I am a huge fan of the shades, I have been looking for some calm shades for the Winter months. I still wanted them to look exciting yet more subtle than my Summer collection. 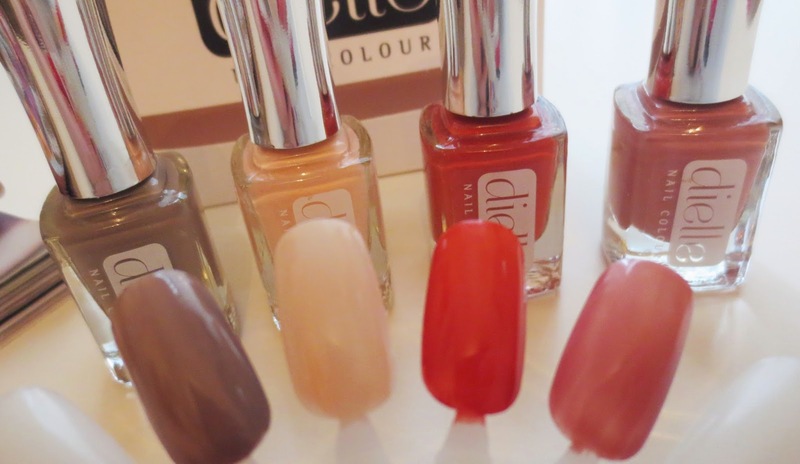 When I was asked to try the Dielle nail polish set, Power Brunch I knew this was going to be a great collection. Dielle believe in expressing yourself and they want you to do this with your nails too. They want your nails to be an accessory that inspires you. They want us to see the unique beauty in ourselves which is why they designed so many different nail polish sets to suit us all. I must admit I love them all, every colour in each set compliment each other. Read more about the brand here, I found it really interesting. In my set I have four amazing colours which all compliment each other. I always struggle to find the perfect colours for Winter. I am in love with wearing the shade Aged Coral, its the perfect Autumn shade. I have had so many compliments about this colour, it suits my skin tone too. I also find that the set looks perfect on my dressing table. I love the sleek, professional bottles and the packaging looks simple yet so effective. The formula itself dries fast and it lasts a full week with a top coat on it. The colour looks just like it does in the bottle too. Its easy to apply and all you need it one coat and you are done. I love nail polishes that are easy to use, I hate waiting for them to dry. I love the application of the brush, it glides on to the nails well and you are done with one coat. I wish I could have all of the shades, I am obsessed with these colours. Perfect collection for the Winter months. I also find that this would be a great gift for someone over Christmas or birthdays. They look gorgeous and come packaged neatly, they scream perfection. I really enjoy using them and every week I have gone back to using one of these colours. They are most likely going to be my go to shades this Winter. Have you tried any products from Dielle? Ps: If you would like to vote for my blog in the UK Blog awards all the information is on this blog post here or click on the UK blog awards logo in my side bar and it will take you straight to the voting page for Kemples! Thank you for all your support! Quite a pricey set, but the colours are stunning! I love the 'Power Brunch' name too.